Prime property in Ponce Davis with fully approved plans and renderings to build a 6,000 square foot ultra-modern luxury masterpiece. Mature Oaks, Mango and avocado trees. East of Schoolhouse Road on the corner of 50th Couth and SW 80th Street in Sunset Elementary School District and one of Miamis most treasured neighborhoods near Lourdes and Epiphany.10,800 square foot corner lot in flood zone X req no flood insurance. Current 1949 one-story 3,000 square foot home with pool. 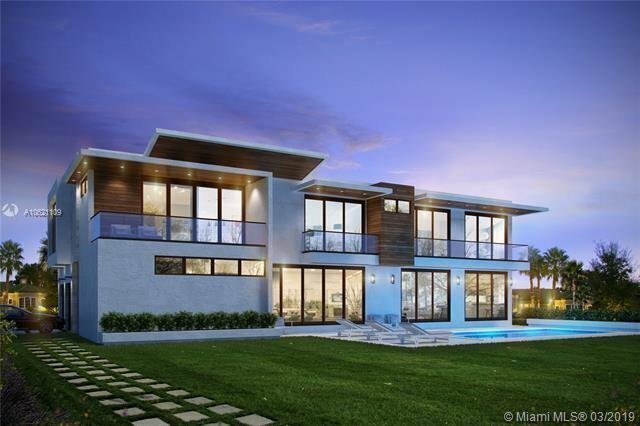 Demolish and build new modern dream residence with included and complete set of fully approved plans by Eduardo A. Calil Architect.Ponce Davis Roving Security Patrolled neighborhood. Ideally close to the best in South Miami shops, restaurants, theater, parks, entertainment and tree-lined canopy streets leading you to Coral Gables and Coconut Grove.